Our favorite week of the year! 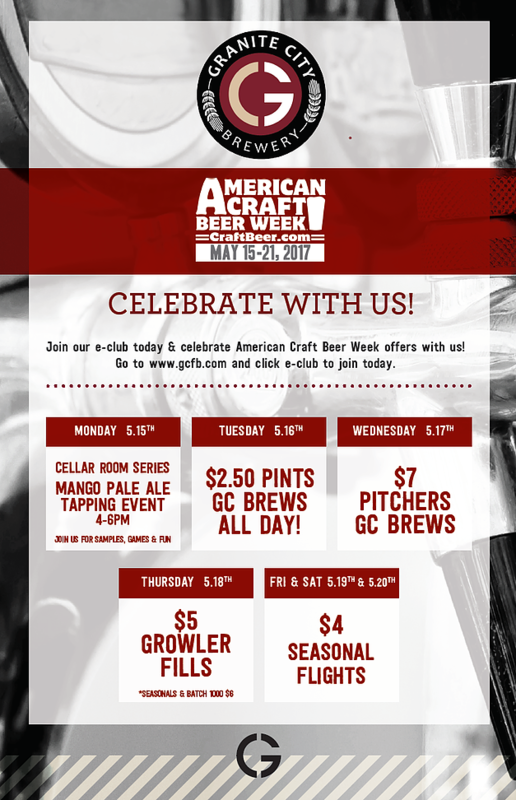 American Craft beer week. 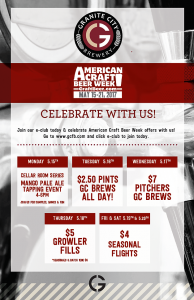 Celebrate with us with our beer features. Find your new favorite and try new styles of craft beers. Not only is our craft beer great to drink, we have infused it on some of our freshly prepared chef crafted menu items!